I recently traveled to southern California to talk about my new book “Look for Beauty– Find Happiness“. A friend of mine is an active member of the Disabled American Veterans (DAV) and he felt that they would gain from hearing about the book. Statistics show that about 22 veterans commit suicide daily, so all veterans groups are seeking ways to help their fellow veterans. I began by visiting the Palm Desert VA Clinic. The DAV has a table where volunteers help veterans however they can. 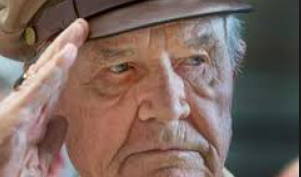 They assist them to understand what benefits and services are available, and they are there just to listen if a veteran has to speak with someone. While I was there, I talked to two Vietnam vets. One of them had no post-traumatic stress (PTSD) issues for over 30 years, until his work got very stressful. Then he had problems. PTSD can strike at any time, whether the vet is from a recent war, or even a WWII vet, but lots of folks don’t even know what is posttraumatic stress disorder. I was amazed that even people that were well adjusted were still affected by their war experience. This shows how easy it would be for someone with a considerable amount of stress in their civilian life to become overwhelmed by PTSD. While I was down south, I also met with the CEO of Jule’s Market in Palm Desert. They have a strong sense of community and have started sending care packages to active military units, both in country and abroad. They also have Warrior Wednesdays, where they give a discount at Jule’s Market to all active and veteran military personnel. 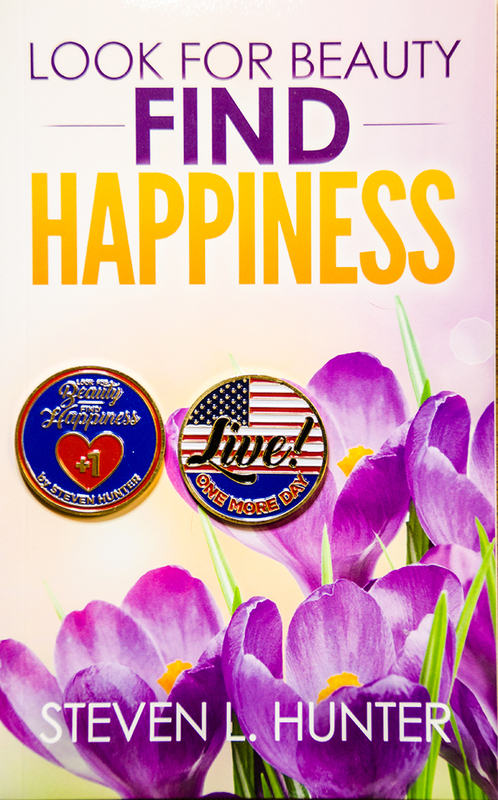 The CEO had also read my book “Look for Beauty– Find Happiness” and thought that the troops would benefit from it, so he purchased copies to include in their shipments. It is great to see a small business supporting their community and their country. By having this attitude, Jule’s Market may become a widespread chain some day. The reason of my trip was to talk at the DAV meeting. Quite frankly, I was expecting polite acceptance of my talk. I was pleased and gratified to see that they really enjoyed the presentation and sincerely thanked me for writing my book and making electronic downloads available to veterans. I was especially surprised to see that many of them wanted to buy a hard copy of the book, although that I provided all a card with the website where they could download an electronic copy. This showed me how sincerely they liked the book. A couple of the members had already read the book and said that they used the Look for Beauty– Find Happiness technique on a daily basis. Among these guys was a 93 year old WWII veteran. I hope that I can still be active and learning new things at that age. The bottom line is that the Look for Beauty– Find Happiness technique helps everyone, regardless of age and life experience. I use it many times a day. More people are discovering its benefits every single day.